Being an innocent, Sassoon’s reaction to the realities of the war were all the more bitter and violent — both his reaction through his poetry and his reaction on the battlefield where, after the death of fellow officer David Thomas and his brother Hamo at Gallipoli, Sassoon earned the nickname “Mad Jack” for his near-suicidal exploits against the German lines. (In the early manifestation of his grief he believed that the Germans were entirely to blame.) 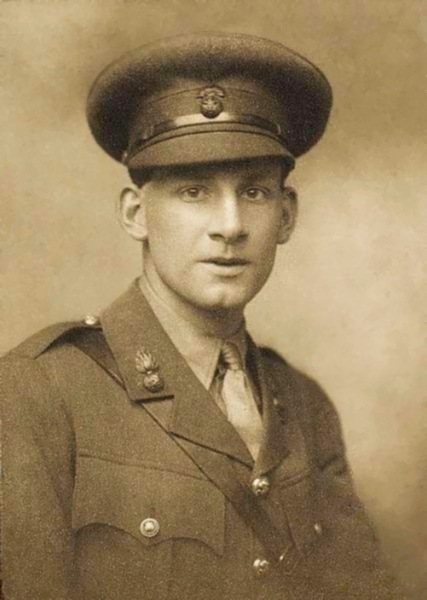 As Paul Fussell said: “now he unleashed a talent for irony and satire and contumely that had been sleeping all during his pastoral youth.” Sassoon also showed his innocence by going public with his protest against the war as he grew to see that insensitive political leadership was the greater enemy than the Germans. Luckily, his friend and fellow poet Robert Graves convinced the review board that Sassoon was suffering from shell shock, and he was sent instead to the military hospital at Craiglockhart where he met and influenced Wilfred Owen. Click on the Oxford First World War Poetry unit link and work your way through as many of the poems/letters as you wish.